Discovering the full details behind a particular story or event is often tricky with clarifications, enhancements, or downright contradictions emerging sometimes many years after the event. 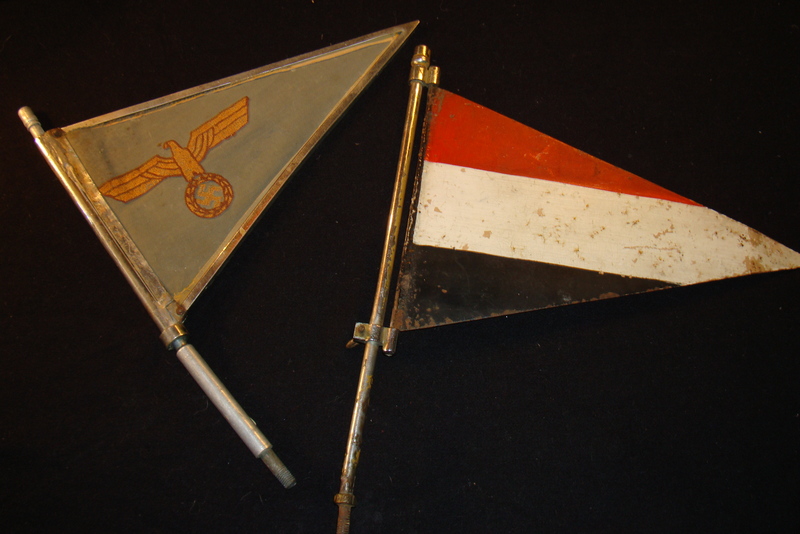 Fortunately we have not had to wait so long for some further detail to be added to the story I ran last year about what happened to the pennants on General Kreipe’s car at the time of the kidnap, and their subsequent discovery many years later. ‘Billy’ Moss’ daughter Gabriella Bullock read Artemis Cooper’s account of how the pennants were found after so many years in a trunk in Paddy’s house at Kardamyli. Gabriella then wrote to me to ask me to pass on the full story behind their (very fortunate) re-discovery in Ireland some years before and how they were passed by her mother (Sophie Moss née Tarnowksa) to her. It sounds like we are very lucky to have them at all. In the early 1950s my family lived in Co. Cork, Ireland, but moved back (supposedly temporarily) to London in 1954. My parents intended to return, and left many of their possessions in the safe-keeping of various Irish friends or in store. My father never did go back to Ireland; indeed, in 1957, eight years before his death in 1965, my father also left England never to return. As things turned out, however, it was also many years before my mother went back, and all that had been left in storage was lost. A number of years after my father’s death my mother bought a cottage near Cork, and thereafter divided her time between London and Ireland. I was staying with her at the cottage one summer in the late 1970s when a friend of hers announced that she had a trunk belonging to us which she wanted to return; it had been sitting in their attic since the 50’s. “an old letter, a scrap of notepaper smeared with the sweat of one’s hip-pocket, the rain-spattered pages of a diary, an operational report written in the bloodlessly forbidding vocabulary of a headquarters’ clerk – these relics, discovered in a tin trunk which still creaks with grains of sand when you open the lid…”. My mother opened and unpacked it, and said to me, “I think you’d better have these”. Amongst the things inside it were my father’s original diary, already entitled Ill Met by Moonlight, in remarkably good condition and perfectly legible, and the two German pennants. It was a heart-stopping moment. My mother gave these things to me, and I gratefully and unthinkingly received them. I was in my mid-twenties then. The diary I still have. As for the pennants, they were much prized, and adorned a wall in my house for nearly 15 years. But one day about 17 or 18 years ago, when I was re-reading IMBM, it dawned on me for the first time that in fact since it was Paddy who had taken them as trophies from the General’s car, they were rightfully his. So I gave them to him. This was in the early 90’s. Paddy was completely astonished, and moved, to see them again, so unexpectedly, after 50 years! He was awfully pleased, and after his death they were donated to the Folklore Museum in Rethymno, in accordance with his wishes. And now they are back in Crete, which is absolutely as it should be. 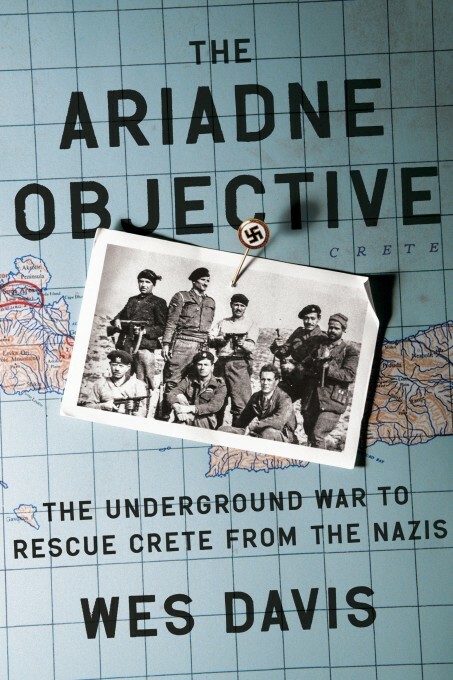 This entry was posted in Ill Met by Moonlight, Paddy's Friends and tagged Artemis Cooper, Crete, Gabriella Bullock, Greece, Ill Met by Moonlight, Ireland, Major General Heinrich Kreipe, Patrick Leigh Fermor, Second World War, SOE, Sophie Moss, Special Operations Executive, Tara on July 15, 2012 by proverbs6to10. Some of you may recall an article I published by a young wandering minstrel, Thos Henley, about his visit to Paddy’s house (see here). Thos is a hard-working and aspiring musician who seems to have a happy life, perhaps somewhere on the Left Bank in Paris, entertaining the Parisians with his music and DJ talents. 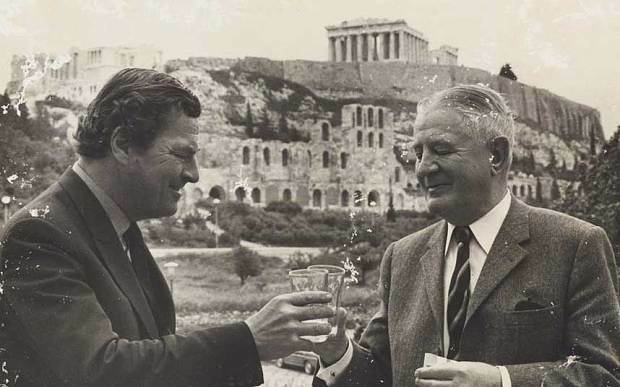 Recently Thos has completed a piece for the blog which contain excerpts about Lawrence Durrell and his meetings with Paddy. The men of Tara passed most of their time incognito in Crete, Greece, France or elsewhere, but when they hit Tara it was with months of back pay and a great deal of pent-up exuberance to spend. For a few weeks at least they could forget the German reprisals on Crete, the civil war that was shaping up in Greece, or the coming conflict between Tito’s Partisans and the royalists in Yugoslavia. Tara had many bedrooms, a grand ballroom with a parquet floor, and a piano borrowed from the Egyptian Officers’ Club. The resident spirit was the young Countess Sophie Tarnowska, separated from her husband. Among Larry’s familiars who were often found there were Ines Walter, remembered by Moss as ‘enormously décolletée, happy in the role of a Hungarian peasant’, and Alexis Ladas, ‘singing Phillidem’ and recovering from and appendectomy. Against heavy competition, Tara was arguably the site of the wildest parties held in the wartime Cairo. At one of these, Countess Tarnowska’s Polish friends shot out all the light-bulbs; at others, everything from gold balls to sofas were thrown from the windows; once King Farouk appeared with a case of champagne. Such happenings became almost the norm in wartime Egypt. 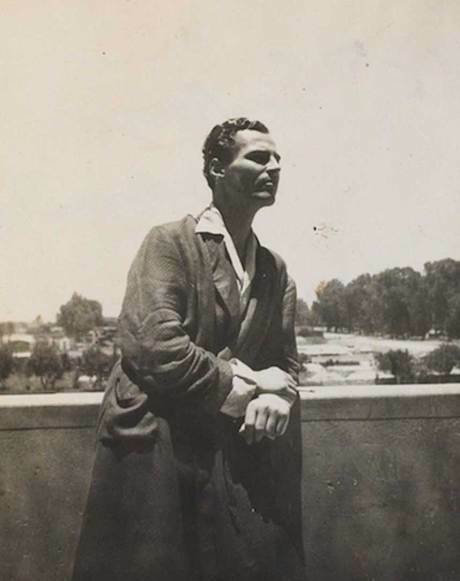 This entry was posted in Paddy's Friends and tagged Crete, Lawrence Durrell, Patrick Leigh Fermor, Sophie Moss, Xan Fielding on February 17, 2011 by proverbs6to10.